This paper is written to let it be known that the basic problems related to environmental contaminants disclosed over a decade ago remain essentially the same. An airborne filament sample has again been received and it has been properly documented. This material is identical in form and structure to that sent to the U.S. Environmental Protection Agency for identification. This agency refused identification of the material and declared that it was not their policy to do so. All available evidence indicates that the general populace has been subjected to the ingestion of these materials through airborne methods for more than a decade, at a minimum. The filaments have been analyzed in detail to the degree possible with available resources and they have been reported on extensively within this site. The filaments have been shown to contain (and continue to do so with this report) complex internal structures and biological components. 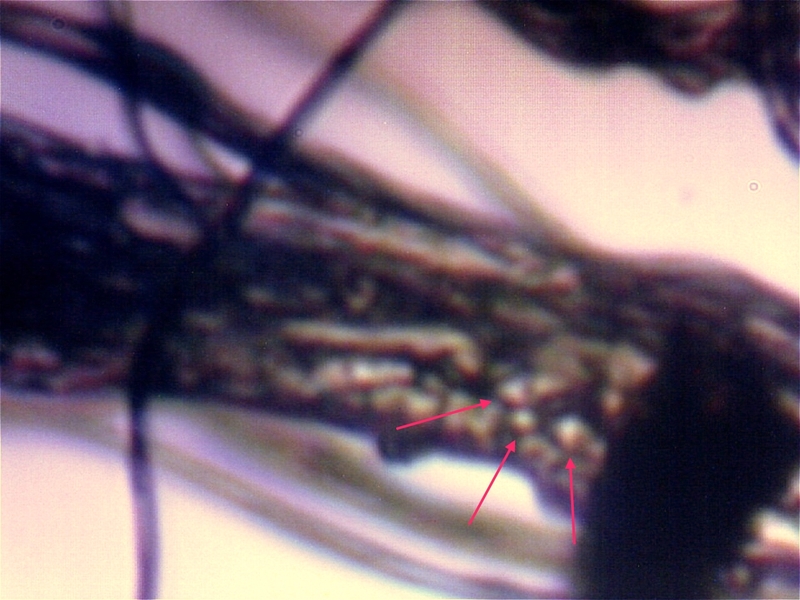 These environmentally dispersed filaments have been shown to have a high degree of similarity and correlation with those that are characteristic of the so-called “Morgellons” condition. 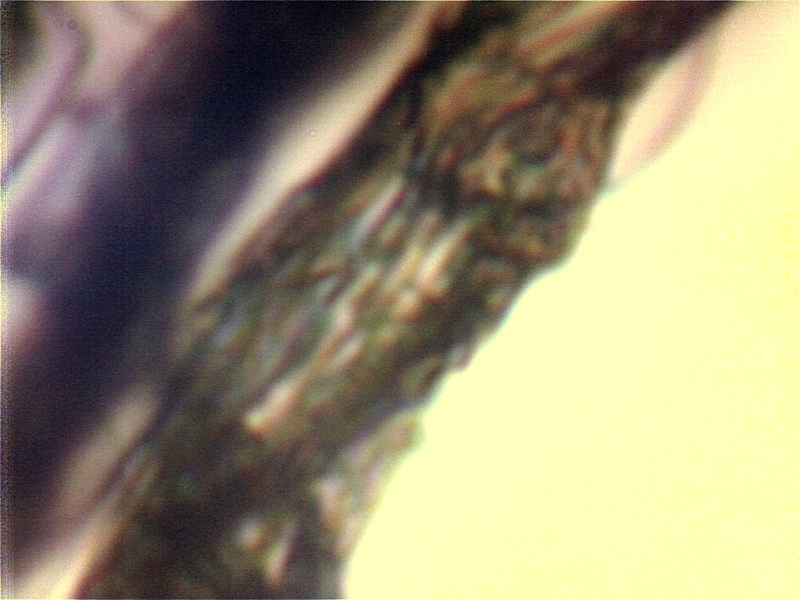 Human samples of filaments representative of the “Morgellons” condition have been cultured extensively, and they continue to show the same level of similarity with the environmental samples that are disclosed here. 1. The problems as identified more than a decade ago remain. 2. All evidence indicates that the general populace has been repeatedly subjected to the ingestion of these airborne filament materials. The airborne filaments, at the smallest level of division, measure at the sub-micron level in thickness (less than that of asbestos fibers). 3. 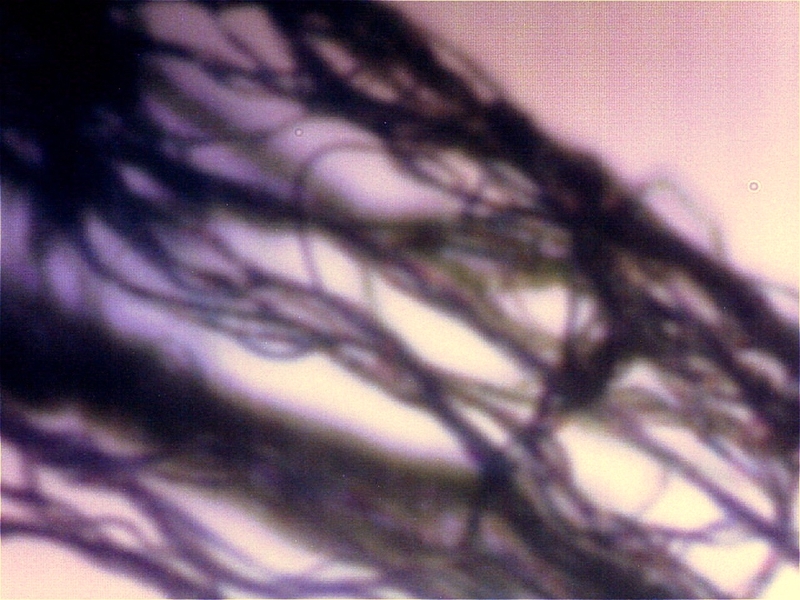 The filaments contain a complex internal structure and they contain biological components, potentially related to chlyamydia-like organisms. 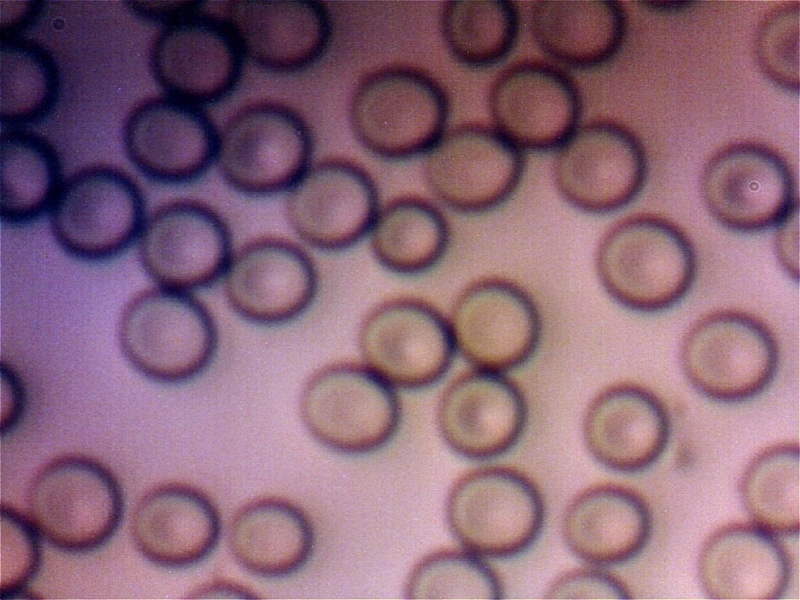 Erythrocytic forms have also been repeatedly identified or cultured from both environmental and human filament samples. 4. 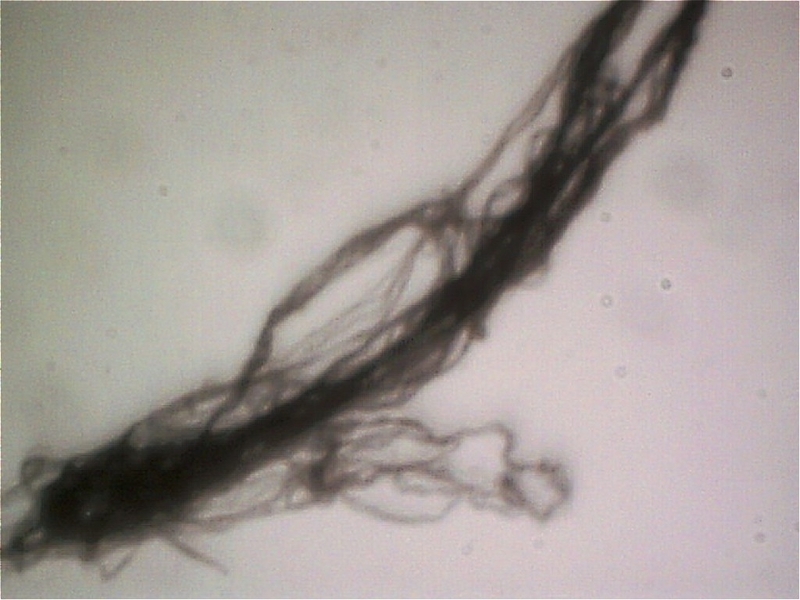 The characteristics of these environmental filaments and those of the so-called Morgellon’s condition appear to be essentially identical. 5. From a statistical standpoint, it appears that the general populace is subject to the so-called “Morgellon’s” condition. 6. Proper identification and analysis of both the environmental samples and the “Morgellon’s” condition remains undone. 7. The Carnicom Institute has the desire to have the proper work completed in a publicly accountable fashion with the proper resources; the Institute is dependent upon public participation and support to further this cause. Significant resources will be required to make further progress. Public service and government agencies, environmental organizations, health institutions, academia and private organizations have failed to serve the public’s environmental and health needs. 8. The vitality and viability of human existence and life on this planet, as it has been known to exist, is under threat. 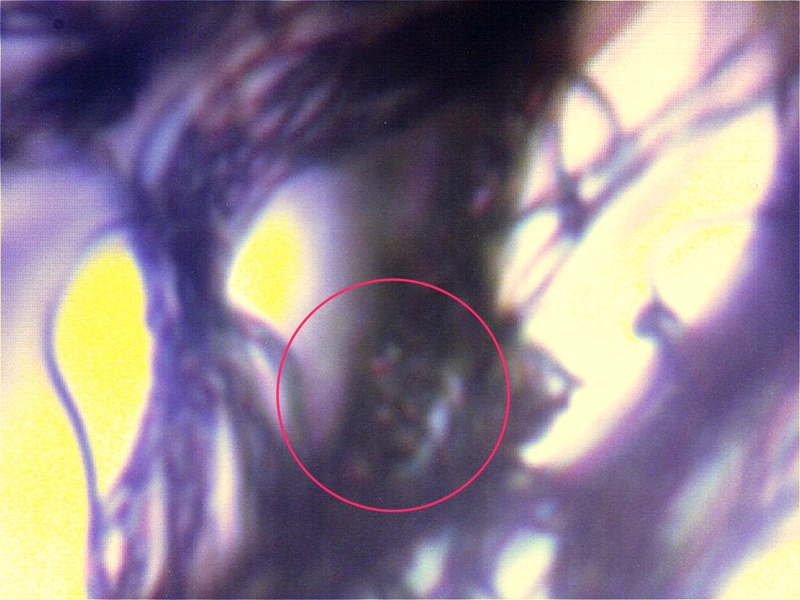 Internal biological clustered structures(chlamydia-like) visible. Internal individual biological structures(chlamydia-like) visible. Airborne Filament Sample, Atwater CA Nov 14 2010. Control Photograph for Reference Magnification Purposes. Please also consider viewing this recent video that is available. A translation to English will be helpful; please send to info@carnicominstitute.org if possible. Thank you to the individuals that have made this video available and for any translation assistance.